Sometimes the journey from Point A to Point B simply requires something more. So let's start on a high. I had dinner with a gorgeous woman last Saturday. I won't qualify that statement any more than that. But to answer your question--yes, this happens occasionally. Suffice it to say, it was one of those dinner conversations that went in a dozen conventional and unconventional directions. On the unconventional end of the spectrum, she brought up my music blog. I'd be lying if I said I wasn't happy to hear she'd checked it out (as surely as she'll read this), though in my head I could hear David Cross' Arrested Development character, Tobias Fünke, yelling "There are dozens of us! Dozens!". She then proceeded to suggest that I create a playlist of the music I'd listen to in my "mental Trans-Am". At this point, I'm as confused as you are right now. 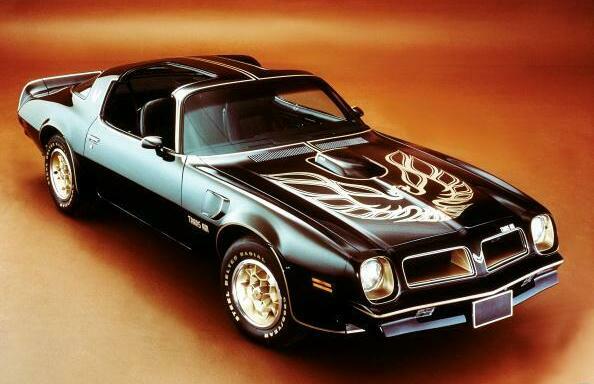 So I proceeded to ask what a "mental Trans-Am" was and we went back and forth trying to define it. It's some combination of comfort music and the spirit of Will Ferrell's character Frank "The Tank" in Old School whose first major post-wedding activity was to remove the restrictor plate off his old Trans-Am in his driveway while blaring Whitesnake's "Here I Go Again On My Own" and seemingly confronting the constrictive nature of his new legal and marital reality (deep breath). But I digress. Anyway, I asked this lovely woman if she'd ever used the term "mental Trans-Am" before and she said she hadn't. Which made me happy. Because I felt like this was some oddball/brilliant idea/moment that would always be ours whether we see each other again or not. I mean, there are so few truly unique moments like that in the world these days. So I said I'd work on it and here's what I came up with. For me, my "mental Trans-Am" is the idea of those key moments of inner conflict and turmoil (big life issues, stress, heartbreak, etc.) that threaten to pound my little Puerto Rican heart in to the pavement and the method with which I'd thus go about addressing them--through the simple act of walking out my front door (either physically or mentally) getting in my Trans-Am (even though it's really a Saturn) and just driving round and round. Like Frank the Tank, I'm often confronted with the cruel taunts of reality from time to time and I can either go full throttle off the deep end streaking through the muck and the mire, or I can choose to deal. 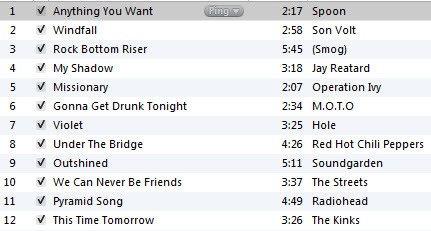 Thus, my mental Trans-Am playlist--or one of them anyway. I suppose it's almost more of a formula than anything else. Chemistry's a tough task. Almost as tough as self-treatment. But ultimately, certain drives are just plain worth it.